FOX FOOTY is pulling out all stops for the AFL season ahead with a line-up that promises stars, laughs and comprehensive coverage. Joining the offering in 2019 is the live Friday night show ‘Up The Guts’ hosted by popular comedian Lawrence Mooney, together with his sidekick mate, Nova 100 breakfast show anchor Dean Thomas. At the season launch in Melbourne, Mooney says they plan to tap into the irreverence of the fan in the stands, who can have a go at the umpire, the opposition and their mates. Mooney said when announcing the new show name. “Up The Guts” is part of our love for this game and the irreverence that goes with it. We’re going take an irreverent look at the footy, have a laugh about it after the game. And Thomas is just as excited to kick off the season after the Geelong-Collingwood game on Friday night. “Lawrence hosts it and I suppose I’m his off-beat sidekick guy. When I say off-beat, I don’t really know what that means. If Mooney and Thomas are excited about the footy season ahead, Eddie McGuire is pumped and believes Fox Footy will deliver something very different for fans. For the first time, FOX FOOTY will produce 46 games for Foxtel throughout the 2019 season in 4K Ultra HD (Channel 444), giving viewers a ‘stadium like’ viewing experience. The 4K ‘revolution’ kicks off on Saturday, March 24 as the Melbourne Demons play host to Port Adelaide at the MCG. That’s followed by St Kilda v Gold Coast at Marvel Stadium on Sunday, March 25. Head of FOX SPORTS, Pete Campbell, is promising something for everyone with shows like AFL 360, Bounce, Saturday Stretch, On The Mark and Open Mike. “Just like every AFL team, we’ve being working hard over the summer to be match fit for when the season finally kicks off this Thursday. On The Couch On Mondays after AFL 360 returns with star-studded team lead by Gerard Healy and Garry Lyon. Jonathan Brown and Paul Roos complete the team and are looking forward to dissecting the weekend’s games and the week of footy ahead. Mike Sheahan returns for another season of Open Mike on Tuesday evenings. The doyen of footy media kicks-off his season with a must-see conversation with Australian broadcast icon Sandy Roberts, who this year retired from television commentary following a distinguished career spanning 46 years. Mid-year, Sheahan hands the interview-baton over to Murphy, who will tackle his second season of Bob. The former Western Bulldogs captain chats with his former State of Origin teammate Brendan Fevola for a captivating first episode, before Sheahan returns in July to cap off the season. In 2019 On The Mark will continue to provide a different look at footy and those close to the game with in-depth, revealing interviews. Sarah Jones will host the discussion program focusing on the personal side of the game. Comedian Dave Thornton is back to host Australia’s number one comedy footy quiz show, The Beep Test alongside fellow team captain Lawrence Mooney The hilarious fast-paced half hour of footy trivia, nostalgia and entertainment, will showcase the game’s most famous fans as they compete to take home the ‘Robbo Cup’ each Sunday night. 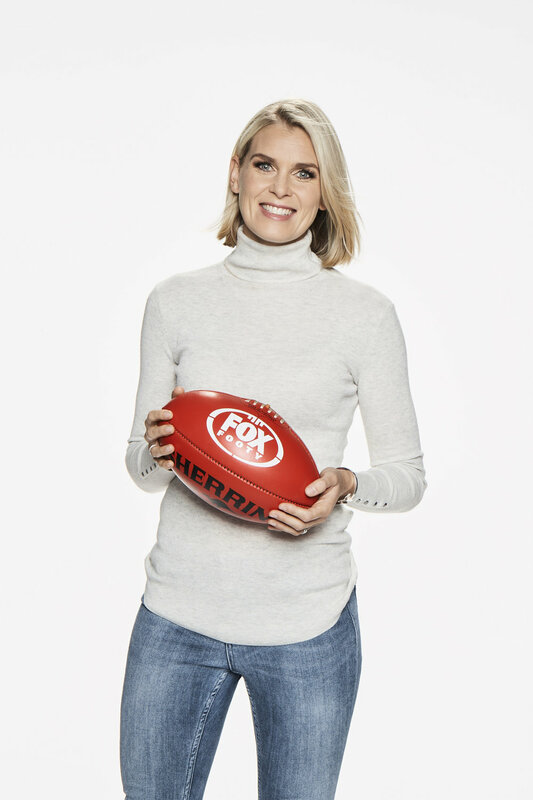 Hosted by Dermott Brereton, Brad Johnson, Saturday Stretch welcomes Sarah Olle to the Saturday night team. The trio will provide the best wrap of the biggest day in footy. Provoking and entertaining discussion around the biggest talking points from up to five games every Saturday and live crosses to the evening games, media conferences, and interviews will keep viewers right up to date. Jason Dunstall will help round-out the weekend of footy with family-favourite Bounce. Danny Frawley, Cameron Mooney, AFLW debutant Sharni Layton and Andrew Gaze will bring the belly laughs as they showcase their physical and mental abilities in the popular ‘Yesterday’s Heroes’ segment.